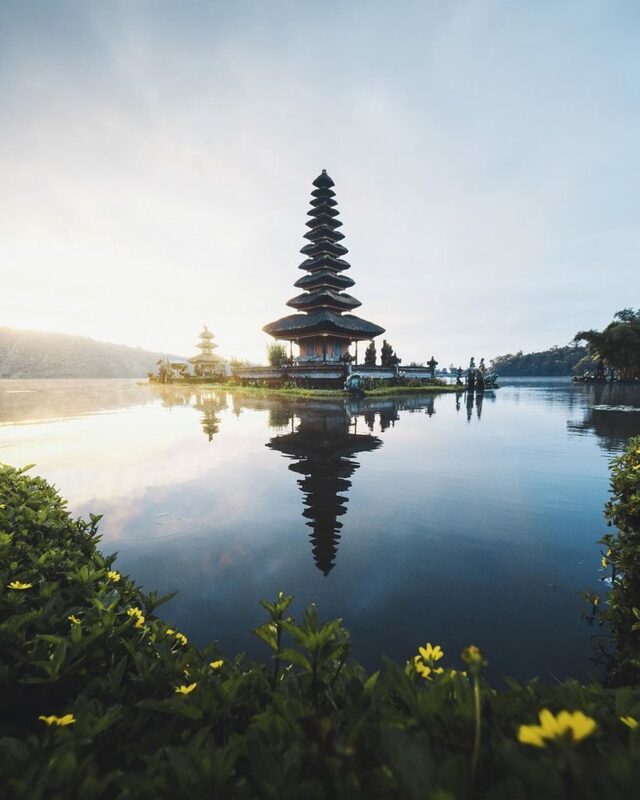 Bali is one of the most popular holiday destinations in the world and for many reasons. Bali beaches are perfect for sunbathing and surfing. 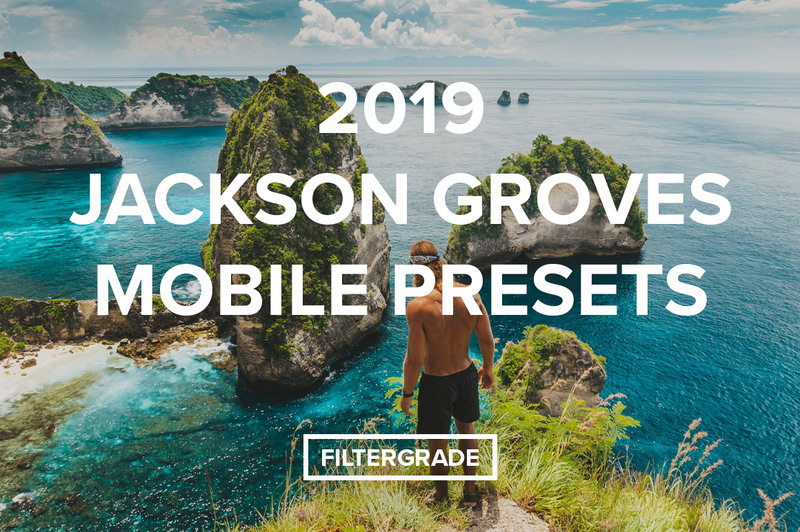 But there is more to the Island of gods. Far from the touristy crowds lots of unexposed places and natural beauty are waiting to be discovered. Our plan was to drive around the island and explore as many waterfalls and temples as possible. We rented the smallest rental car we could find and paid 100€ for 10 days, yup that’s Bali! Two people and lots of bags, backpacks & camera gear were just enough to fill our Daihatsu Ayla to the top. The luggage and the AC were the main reason why we decided against scooters, which are by far to most used means of transportation on the Island. 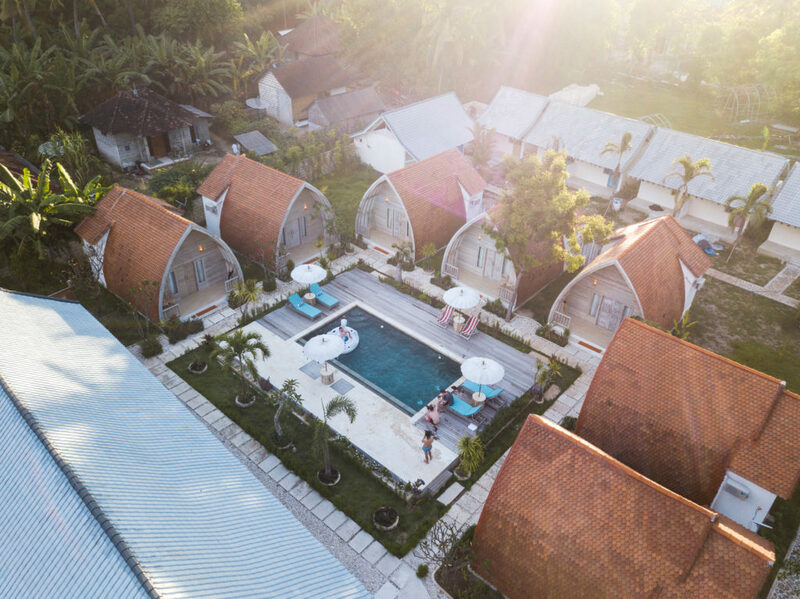 First destination of our trip was Munduk, in the north of Bali. After checking in at our small guesthouse in the middle of the mountains we were on the way to the first waterfall of the trip. This one required a lot more effort than we originally thought it would. We had to hike through the woods, past many small huts, with friendly locals directing us so we didn’t get lost in the jungle. Half an hour later we were standing in front of a big river. There were only two options now: Go back to the parking lot, or swim through the river to continue our way to the waterfalls. Of course we chose option two – we took our shoes off and swam through the cold water which was kind of a blessing because the air was so hot and humid. 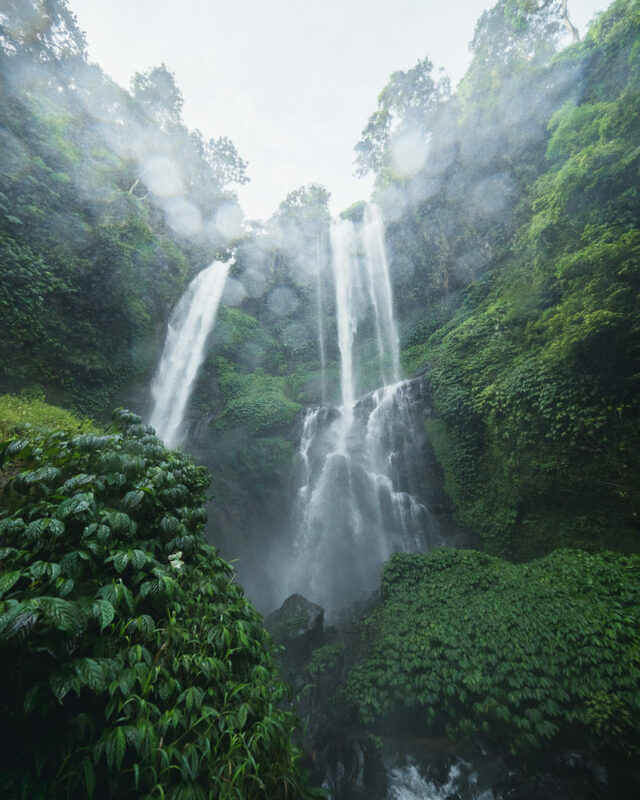 After crossing a second river just 10 minutes later we finally arrived at the Sekumpul waterfalls. 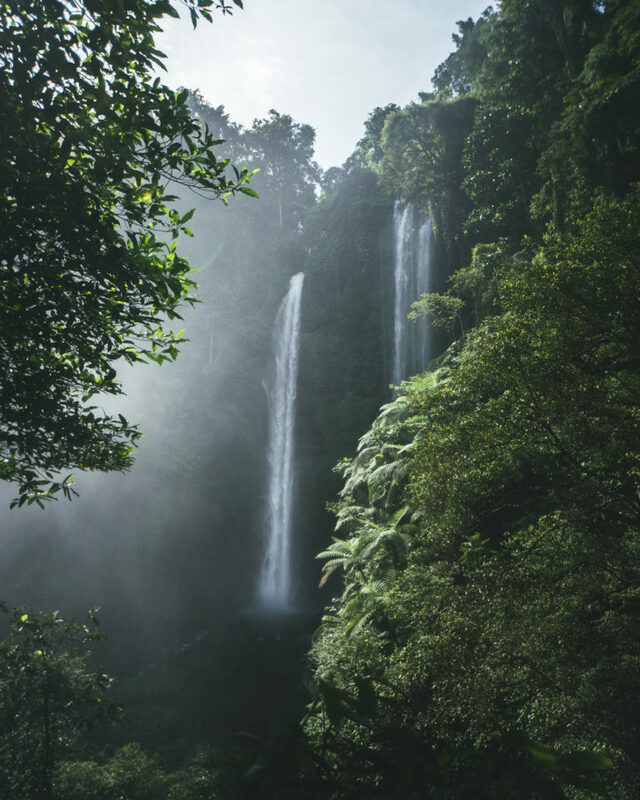 With the three separate waterfalls and a total height of 80m (260ft) it is said to the most beautiful waterfall in all of Bali. We definitely knew why, when we stood just a few meters away from it. After snapping a few pictures, and wiping off the water from the lens at least a hundred times we decided to look for another view of the waterfall. Going up on a hill for a few minutes made the waterfall look totally different. Now we could see its full size from a bit further away. Then it was time to head back to the car and drive to our guesthouse. A traditional Balinese meal and a cozy bed were already waiting for us after the 1h drive through the mountains. The next day was all about temples. 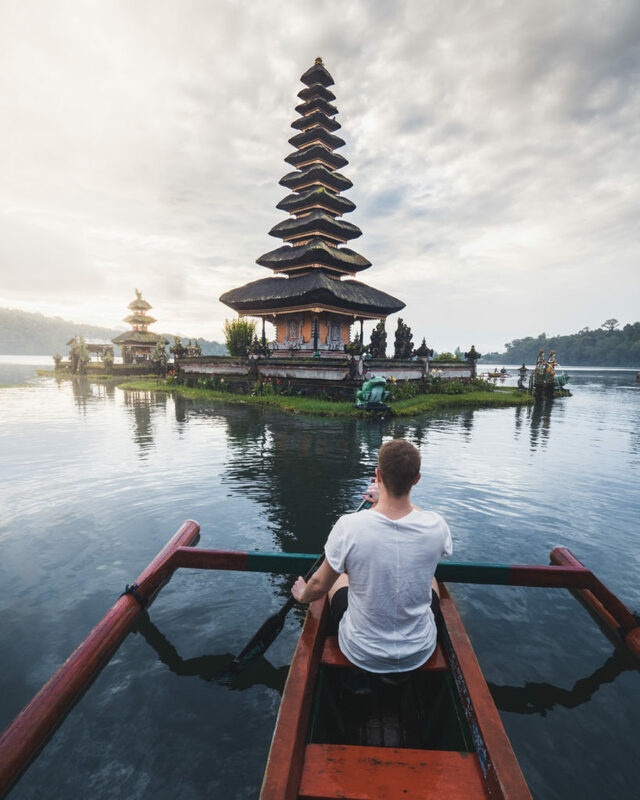 Our mission was to see the water temple of Pura Ulun Danu Bratan for sunrise and paddle around the temple with one of the traditional boats that could be rented at the temple complex. We gazed out a perfect sunrise and calm water that provided for an awesome reflection of the temple. Not bad so far. As soon as we finished taking our pictures on land it was time to get in the water. After bailing water from the past rainfall out of the boat we were ready to go and got some cool perspectives. We basically covered every possible angle. More than happy with the results of the morning we left to the next spot, which is the famous Hanadara Gate. The place was just 10 minutes from the water temple and is used as the entrance for a golf course & resort. We had to wait for a good while until the few tourists were gone, then we had the place all to ourselves. Another easy photo spot just at the side of the road. Another Bali classic, crossed off the bucket list. Then the adventure continued on to an incredible little island just next to Bali’s mainland. 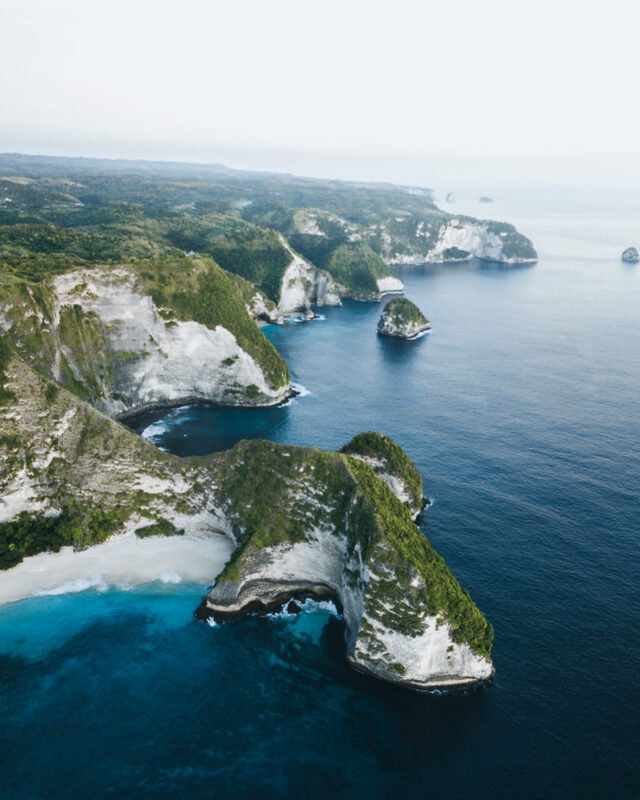 We only knew Nusa penida from the thousands of pictures that are posted to social media every single day, and decided to check it out and see it with our own eyes. We parked our car at the mainland and took the ferry that took only 30 minutes. Our next vehicle of choice was the scooter. Equipped with just backpacks and our cameras, we were ready to explore the island. We spent the sunset at the pool of our hotel, chose to take it easy for once and go to sleep early to be fit for the following sunrise. Getting up at 5am is definitely not my specialty but if there’s a good sunrise and a cool spot waiting for me I am usually the first one awake. 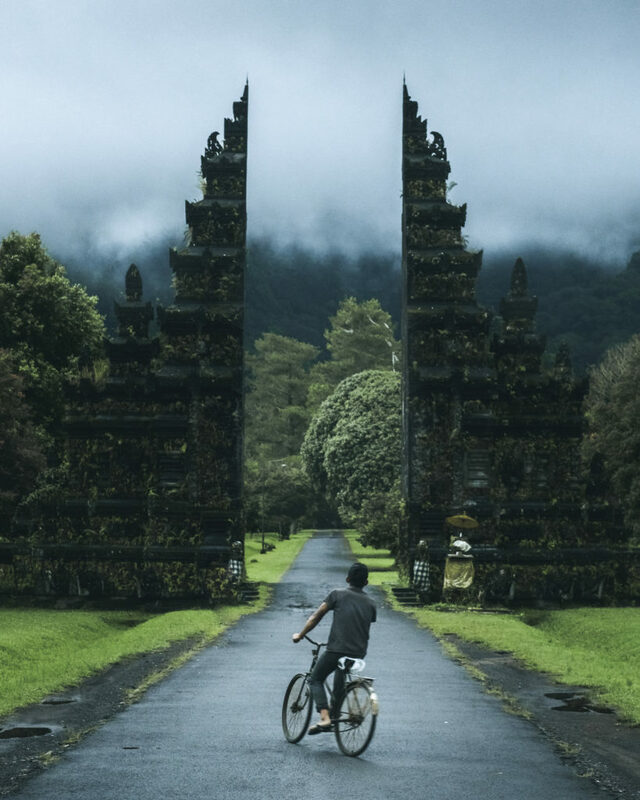 We hopped on our scooters and drove for an hour on the winding roads of Nusa Penida. We arrived just in time for the best light and took some of our favorite pictures of the whole trip. Kelingking beach seemed to good to be true when we looked at all the pictures, but it looked even better in person. 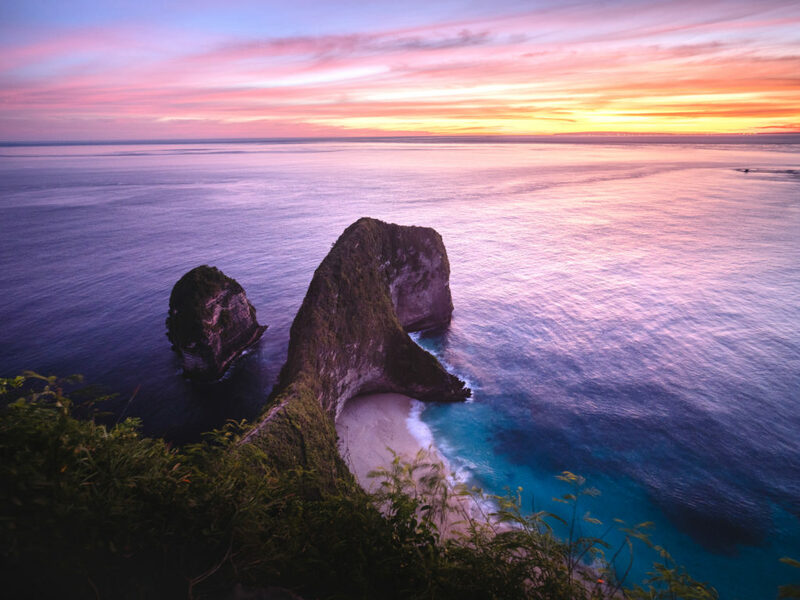 Well, if you are still not convinced that there’s more to Bali than beaches, parties, and surfing you should probably book your flights and see for yourself! 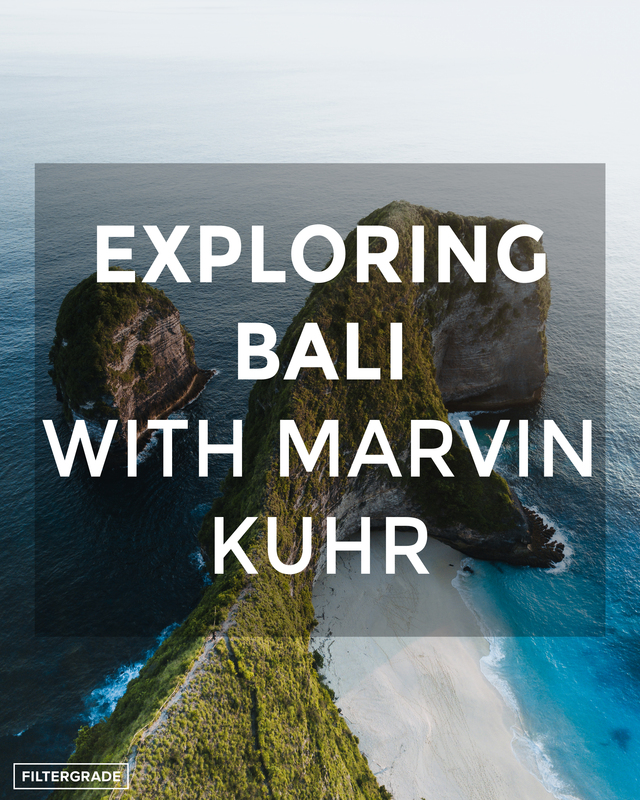 Read More from Marvin Kuhr’s Adventures!